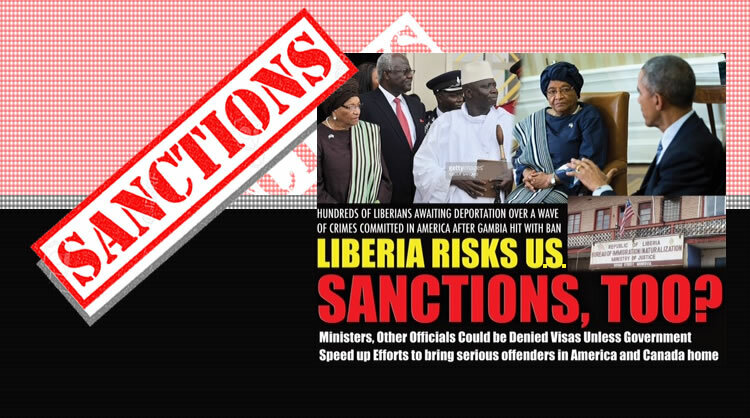 2000 Liberians Awaits Deportation For Crimes Committed in the U.S. According to FrontPageAfrica, nearly 2,000 Liberians are awaiting deportation in both Canada and the United States of America. About 1,500 Liberians awaiting deportation in the United States while another 60 in Canada are awaiting deportation to Liberia. “The challenge is we have to move it. The U.S. State Department has been working with us to see how this can be resolved but time is running out,” a diplomatic source in Washington told FrontPageAfrica last weekend. FPA has gathered that those awaiting deportation have been engaged in a wave of criminal convictions, including possession of control substances, counterfeiting fiscal assault, domestic abuse, robbery and a host of other crimes. Ambassador Jeremiah Sulunteh, Ambassador to Washington when contacted by FPA did not confirm or deny the possibility of officials being denied visas but acknowledged that some of those awaiting deportation were being processed. Liberia is among a set number of foreign countries whose governments are being pressed to take speed up the return of deportees even as President Obama has been granting clemency to certain nonviolent drug offenders, an initiative that has resulted in the early release of 89 inmates.